Saw this magician perform at a stage. Somehow magicians always make you stop to take a look. Don't you think so? Not too long ago, while attending a friend's wedding did we find out, he 'was a magician'! His wife was captivated by his magic! 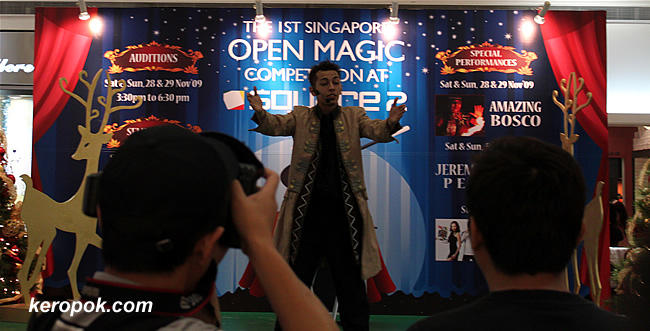 Oh by the way, if you are interested to watch this Open Magic Competition, the finals is on Sunday 13 Dec 2009, 3.30-6.30 PM at Square 2 (Novena Square).